Am I Hiding My Hearing Loss? The first time I told a stranger I had hearing loss was in a Bible study 13 years ago. As a first-time attendee with a new set of behind-the-ear hearing aids, I mostly kept quiet and tried not to draw attention to myself. My hair was long, and I covered my ears (and hearing aids) with it. When the other women in the group nodded at the teacher, I nodded, too. I had no idea why I was nodding, but I didn’t want to be the only person not nodding so I went along. When the other women laughed at the teacher’s comment, I laughed, too. But I did not know why we were laughing. I wish I could be more like a woman named Dana. The customer, my friend Rebecca, was intrigued by the hearing aid jewelry and button. Rebecca had a close family friend with hearing loss and remembered how she had to communicate with her friend: by getting the friend’s attention, making eye contact, and speaking with good enunciation. This knowledge prompted Rebecca to use good communication skills with Dana. Rebecca made sure to maintain Dana’s eye contact while talking and to speak with clear diction. Okay… I’ll try to be more like Dana. At a church cookout a couple of years ago, I noticed a teen boy walking toward some trees alone. I asked the youth leader if everything was okay, and the leader went to talk to the boy. Come to find out, some other boys at the picnic had teased the teen about his behind-the-ear hearing aids. Upon closer inspection, I noticed that his hearing aids and ear molds were an eye-catching camouflage green, cream, and brown. I asked the youth leader if he would come with me to talk with the boy. When we did, I showed the teen my royal blue behind-the-ear hearing aids. I told him I had worn hearing aids probably as long as he had been alive and that I was okay with wearing them. He told me he had cancer when he was little and lost much of his hearing because of it. I was amazed at all this boy had been through in his short life, and I felt compelled to encourage him with these words: “I think your hearing aids are really cool. I wish mine looked like yours.” It was the first time I saw the boy smile since arriving at the cookout. It can be hard to make hearing loss visible. When I hid my hearing aids and pretended to hear everyone around me, I was not being honest with them or myself. It took time for me to quit hiding my hearing aids and to stop pretending I could hear everything when I really could not. Think back to Dana and my friend Rebecca in the grocery store. Imagine if Dana had not revealed her hearing aids or worn a button that read “I read lips….” Would Rebecca have known to get Dana’s attention first before speaking? Are we visible or hiding? How many of us can relate to Dana and are open about our hearing aids and communication requirements? How many of us can relate to what I did in 2003 when I hid my hearing aids and pretended to hear everything in the Bible study? 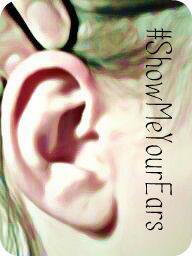 How many of us have been in the teen boy’s shoes and been teased about our hearing loss? How many of us can relate to what I did in 2014 when I showed off my hearing aids to the teen, a boy I did not know? Share your thoughts with Lipreading Mom in the Comments below. I love your authenticity – being who you are and living okay with that ! We all struggle with these issues. Thank you for sharing your perspective on them. It is always best to be upfront about our hearing loss, but not always easy. I agree. It is best to be upfront and you are right…it’s not always easy. Wow, I am one of many who can relate to the smile and the nod! I wore my hearing aids under my hair. Living on a lake meant not understanding anyone at the beach so I nodded a lot back then :). My aging husband is suffering hearing loss and is so private about it, that I didn’t know about it until it got really noticeable. How can I help him accept it without him feeling inadequate? The male ego is a sensitive thing!